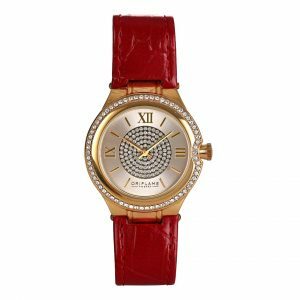 Watch: Zinc Alloy, Mineral Glass, Stainless Steel, Brass, PU Leather. Box: FSC Paper. Watch: 272 x 42 x 10.7 mm (strap width 20). Box: 80 x 80 x 70 mm. The timepiece for a man of distinction. With its brass hand and dial, faux-leather strap, and quartz movement, it’s a classic piece that always looks stylish. Comes in gift box.